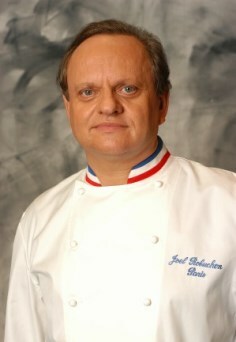 Joel Robuchon is widely recognised as one of the world's best chefs, with his many renowned restaurants holding an accumulated total of 28 Michelin stars - more than any of his contemporaries. Although he has a presence in destinations ranging from Tokyo to Las Vegas, the Frenchman is perhaps most associated with Monaco's Hotel Metropole. The property is home to his celebrated Mediterranean-accented restaurant Joel Robuchon Monte-Carlo and to his first Japanese restaurant Yoshi. Last month the hotel opened his third on-site venue, a Mediterranean restaurant and bar named Odyssey. Other well known Rubochon restaurants include Joel Robuchon in the MGM Grand, Las Vegas and L'Atelier de Joël Robuchon in London. Here Robuchon names his favourite restaurants worldwide (apart from his own). For me, the most important thing in a restaurant is its atmosphere - what you feel when you walk in before you even try the food. The success of a restaurant, I feel, is based 50 per cent on the atmosphere and 50 per cent on the dish. Great balance is needed. In terms of service, the most important thing is the kindness of the staff. I'm strict on whether knife and fork are placed straight on the table, but the main consideration is whether the staff is kind and helpful - this is what stays in the mind of the guest. When I go to restaurants privately it's for my own pleasure and I seek out simple, warm, laid back places - I don't care whether the space is traditional or contemporary and I don't like restaurants where there's lots of ceremony and fuss. I have some pet hates, too. Bad lighting makes such a big difference to the feel of a restaurant, and it irks me when air conditioning units are placed directly above tables. It's something you see in too many restaurants and, although I'd go ahead and eat my meal if I ended up in such a place, I definitely wouldn't go back. It's just unpleasant being able to feel the air being pumped out straight above your head when you're trying to appreciate the food. exceptionally fresh and so impressive - they go fishing in the afternoon, directly before the evening service, and then serve the catch straight for dinner. They also cook right in front of you, which is a concept I follow in my restaurants as well, and diners at the tapas bar eat at a snake-shaped counter. The venue's interior is traditionally Spanish and, although you'll find tourists there, the address is a favourite of locals. The 8 in Macau in The Grand Lisboa Hotel in Macau is a very modern place with very modern interior design where they serve very, very high-quality Chinese cuisine. Even though it's in an hotel, it's a restaurant that's even more popular with locals rather than with tourists. There's also a Portuguese restaurant within the property but The 8 is 100 per cent Chinese. The interior design is also very different to a traditional Chinese restaurant, which design-wise can often be quite bland and nothing really special. I don't know of any other real Chinese restaurants that are so beautifully designed. It's a real experience to go there, it feels like a special place and the service is excellent. Jiro is a tiny place, just big enough for about ten covers, located at the entrance of an underground station in Tokyo. It's such a tiny place that they don't have any fridges so they can't store the fish, but everything is so fresh that you won't smell it at all. The restaurant is really exceptional in terms of the quality of its ingredients. It has become internationally renowned and now has three Michelin stars so it does attract some tourists and epicureans. People become even more curious still about the place when they find out it's located at the entrance of an underground station; it's completely unexpected to find a restaurant of this standard somewhere like that. The simplicity of Jiro is also exceptional. There's no emphasis on the décor - it's not scruffy, it's neat - but it's nothing grand and the emphasis is purely on the food, really fantastic, fresh fish. If you haven't had sushi at Giro you don't know what real sushi is. In my opinion, this is where you find the best quality sushi in the world. Benoit Violier is the chef here, in this three Michelin starred restaurant near Lausanne in Switzerland. His cuisine is very spontaneous and everything is cooked at the very last minute, with great respect for freshness and the quality of the ingredients. There's great emphasis on the products themselves and despite that spontaneous character, Violier's cooking technique is quite controlled and shows so much respect for the ingredients. 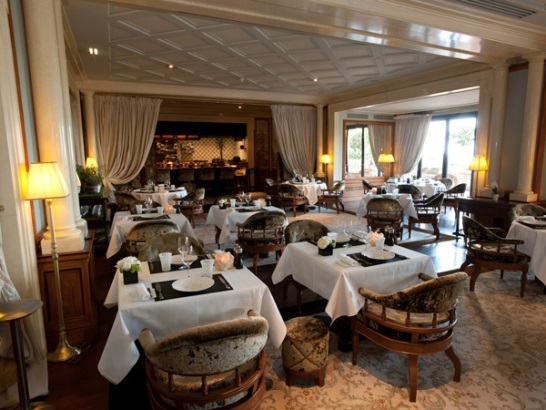 The interior has a contemporary design but the restaurant is located in the Hotel de Ville. In French, somewhere named Hotel de Ville is normally the main city hotel and it's often located in a listed building. L'Hotel de Ville Crissier is quite grand so the contrast between modern interior design and classic architecture is another interesting feature. In terms of approach, Le Pré Catelan is quite similar to Restaurant l'Hotel de Ville Crissier. What's always important to me in a restaurant is quality and a skilled method of preparation and cooking technique - Le Pré Catelan is very impressive in that regard. It serves French cuisine and is very contemporary and romantic; the restaurant is surrounded by amazing gardens so it's a very special setting, and very popular as a result. It's probably one of the most famous restaurants in the city in fact. I'd recommend it to couples on honeymoon or on a romantic break in Paris but be aware that a lot of businesspeople go there for lunch so visit in the evening if you're there to celebrate a special occasion.